Need a worksheet on common abbreviations? Here it is! 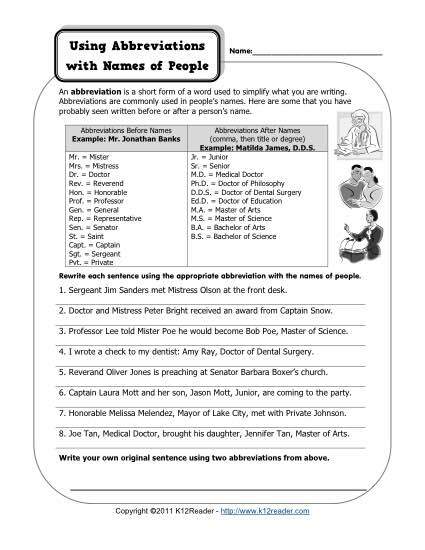 Your student will work with the abbreviations for such words as Mister, Doctor and Reverend. These shortened forms are often used in literature and are important for students to understand. While most appropriate for 4th through 6th grades, you may find them helpful for other grades as well.